Notice is hereby given that the combined tax and assessment notices have been mailed on May 23, 2018 to all property owners in the Town of Smoky Lake. 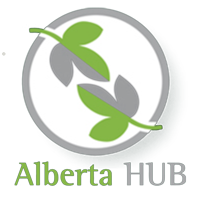 In accordance with Section 311 of the Municipal Government Act, Revised Statutes of Alberta 2000, Chapter M-26 all persons are deemed to have received their combined tax and assessment notice as a result of this notice. Taxes are due on or before August 31, 2018. The assessment roll is open for inspection at the Town Office; we are located at 56 Wheatland Ave and are open Monday to Friday from 8:30 a.m – 4:00 p.m. If you have a question regarding your combined assessment, please contact Tanmar Consulting at 780-417-5191.The assessment complaint form must be filled out and sent into the Town of Smoky Lake, plus a $50.00 deposit fee is required. The final date of appeal is July 31, 2018. If you did not receive your tax notice, please contact the Town Office at (780) 656-3674.